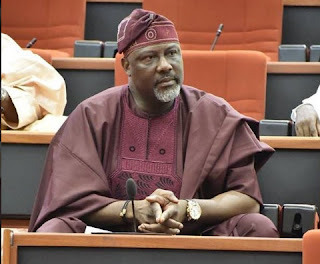 Dino Melaye, Kogi West Senator, has apologised for marketing President Muhammadu Buhari to Nigerians in 2015. The lawmaker said this while regretting to have been a member of the All Progressives Congress, APC. Melaye, who recently dumped APC for the Peoples Democratic Party, PDP, spoke on AIT’s program, The Weekend. He said, “I regretted being a member of the APC. I apologise to Nigerians for marketing President Muhammadu Buhari at the time I did. If I had the information and physical manifestations that I have now, I wouldn’t have in any way supported his campaign. “I was the MC of his campaign in all the thirty-six states except Yobe that I did not go to and he himself did not get to Yobe. So, if I have worked closely with him in thirty-five states emceeing his campaigns and being with him throughout that period, I am in a good footing to say that it will be disastrous for Nigeria to engage on this road again”, he said. 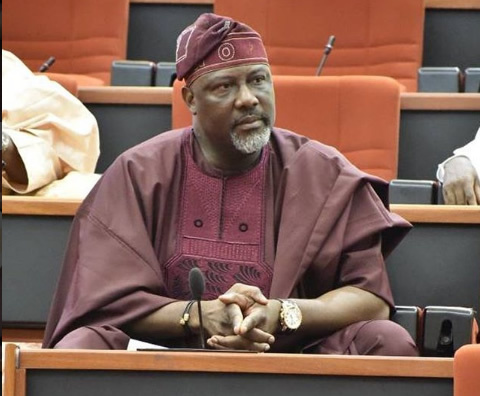 Senator Melaye, also spoke about his defection from the APC to PDP, stated that times, seasons and circumstances define moments and also inform decisions. “At the time I antagonised the PDP, the reasons why I antagonised the PDP were there and I have no regrets about them. But if you put the APC as it is today and the new PDP that has apologised to Nigerians on the same pedestal, you will see that the satanic manifestations of the APC as presently operational cannot in anyway be compared to the sins of the PDP in times back,” he added.